Last year I was at my friend Tiffany’s house. They had moved from the Dallas area to Waco. She and I have been friends since we were twelve years old. 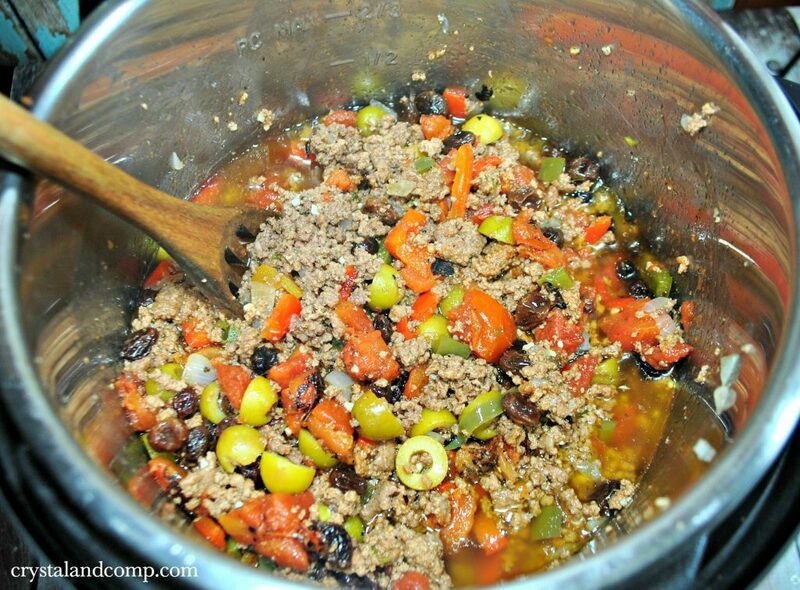 When we arrived she had prepared a Cuban dish that I had never had before- Picadillo. It was amazing. The flavors blended together so well. She served it over steamed brown rice. 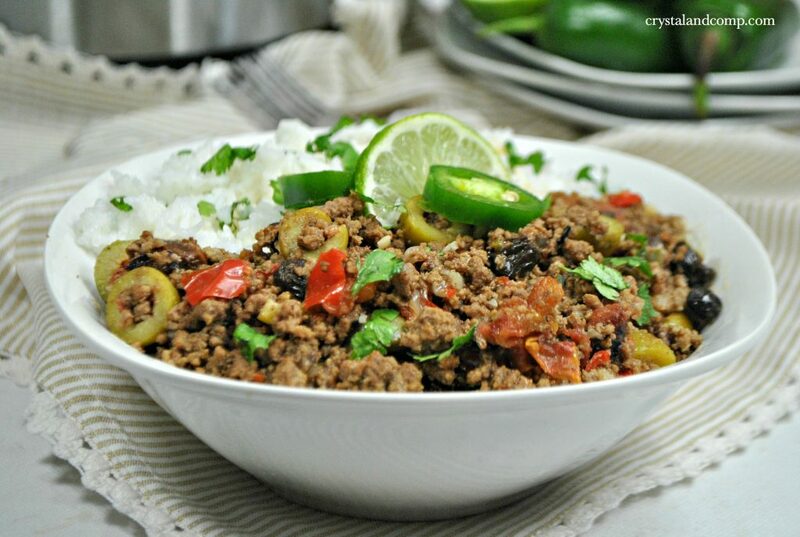 I am going to show you how easy it is to make Instant Pot Beef Picadillo. Don’t be shocked by the contrasting ingredients. The flavors are out of this world! The pressure cooker is an fantastic way to make this dish quickly. 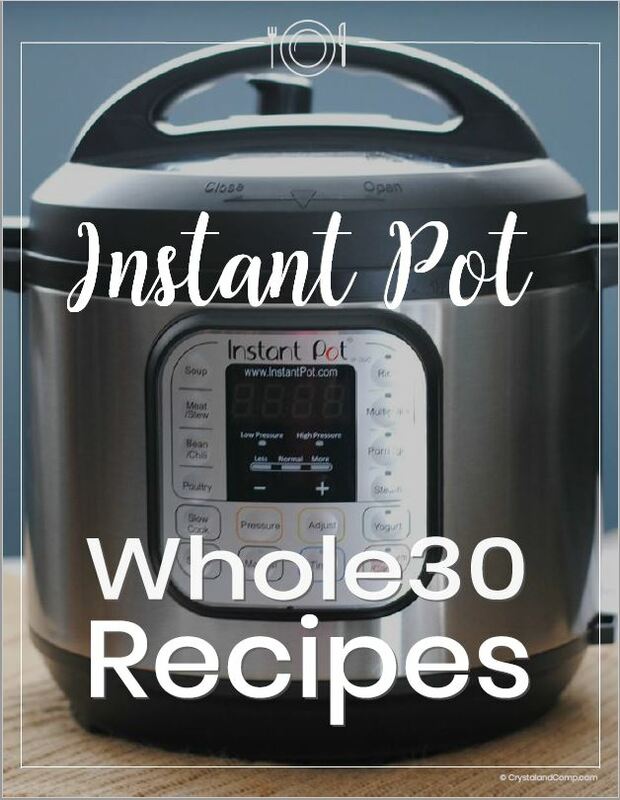 Here is a great collection of Instant Pot recipes if you need more ideas. Gather up all of your ingredients. Here is everything you will need. Press saute button on your Instant Pot. This is the Instant Pot I use. Did you know you can brown meat in it? Add your ground beef brown your meat and season with salt and pepper. Use a spoon to break the meat up into small pieces. 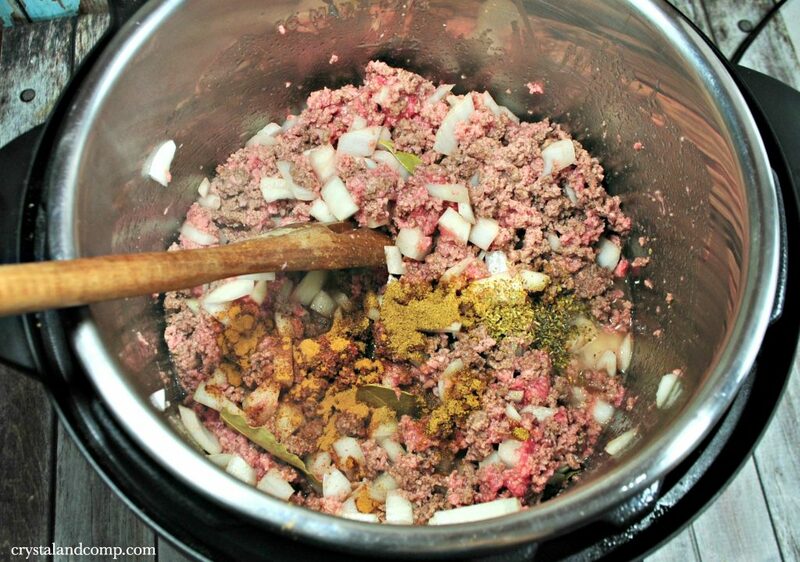 Once it is no longer pink add onion, garlic, cumin, oregano, bay leaves, salt, and pepper. Add the tomatoes, olives, red wine, Worcestershire sauce, raisins, cilantro, and olive brine. Cover and close your Instant Pot tab to sealing. Set your Instant Pot to high pressure for 15 minutes. Once the time is up do a quick release. This meal would freeze perfectly! Make a double batch and freeze the other half for another dinner. This is such a delicious meal. Serve it over steamed brown rice. Here is how I make Brown Rice in the Instant Pot. I’ve been making Picadillo since the mid-1980’s but this will be my first try to cook it in my Instant Pot. Will be serving over streamed broccoli (we try to limit carbs). Looks amazing. Thanks for sharing at the To Grandma’s House We Go DIY, Crafts, Recipes and More link party. I pinned this. Hope to see you again next week. 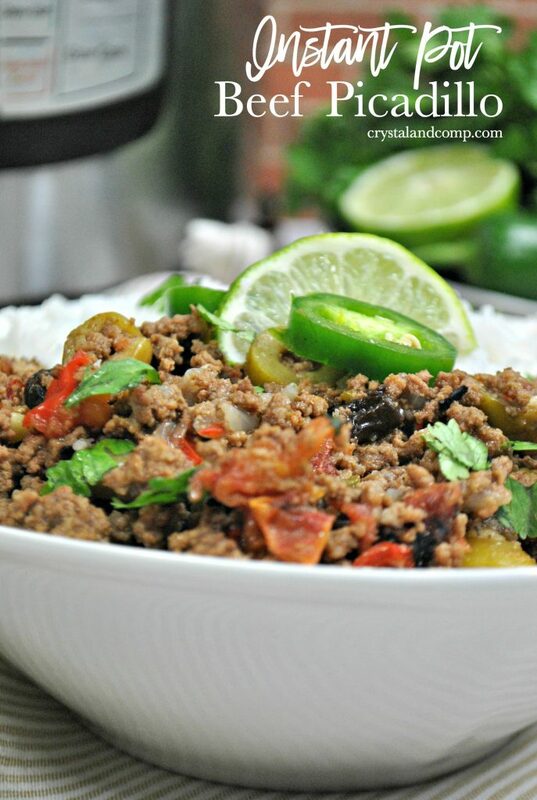 We love Picadillo and this recipe looks delicious! Thanks so much for sharing with us at Full Plate Thursday, your post is awesome. Hope you are having a great week and come back to see us soon!